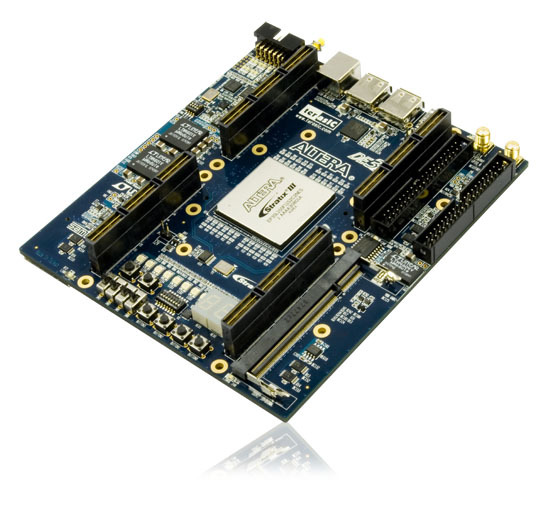 The Altera DE3 ASIC prototyping development board allows researchers and engineers to access the high density and high performance FPGA - the Altera Stratix III. Starting with the Stratix III 3SL150 (142K logic elements), the DE3 is the perfect platform for creating your cutting edge design in programmable logic. The DE3-150 board can be stacked up to create a programmable fabric that is unequaled by any other board system in the world. 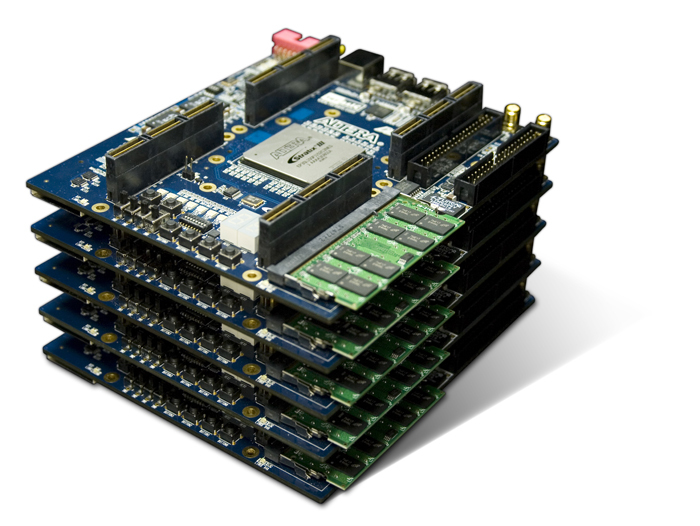 DE3 boards include the DE3-340 (338K logic elements) and the DE3-260 (254.4K logic elements) that are optimized with extra on-chip multipliers needed for DSP research and development. All of the DE3s can be stacked and all share the same set of function from the Terasic's daughter cards connected to them. 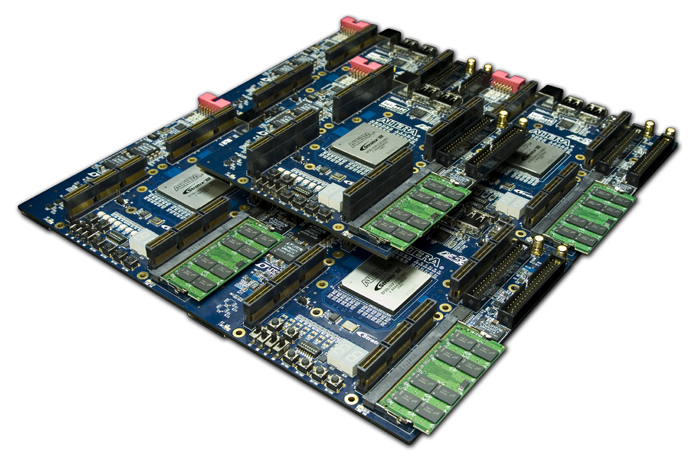 Multiple DE3s can be joined together to increase design gate count and performance. Up to 10 DE3s can be stacked vertically where space is at a premium. DE3s can also be arranged in a expanded flat pattern to accommodate additional daughter cards.